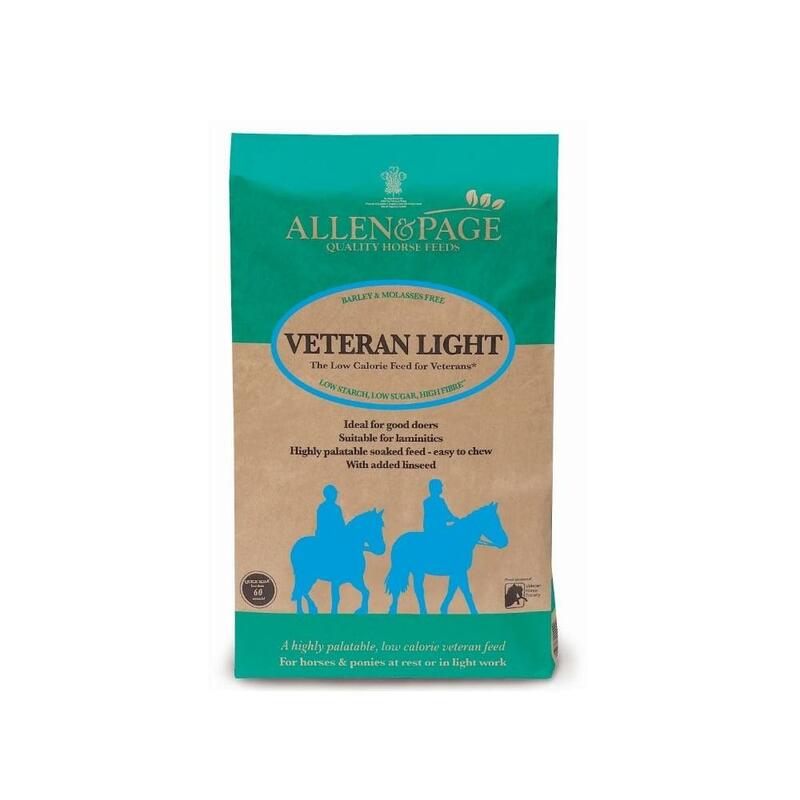 Allen & Page Veteran Light is the low calorie feed for veteran horses at rest or in light work, or those prone to laminitis. 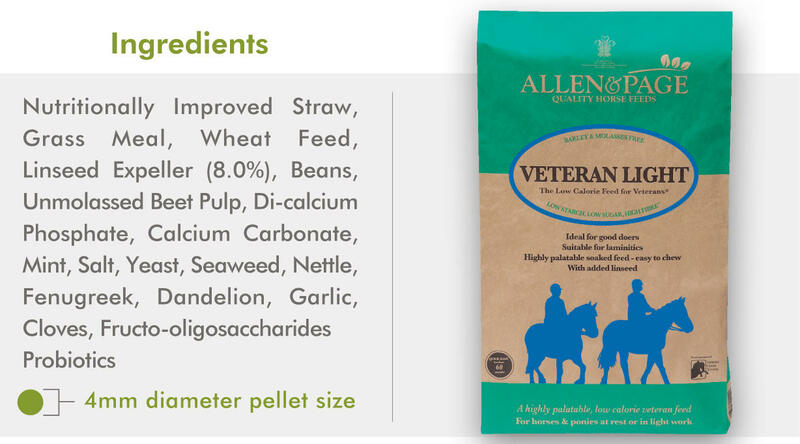 Providing all the nutritional requirements for optimum health in older horses and ponies, Allen & Page Veteran Light also includes a carefully selected blend of herbs with added vitamin C and a high level of vitamin E.
With a low calorie/energy level, this feed is ideal for the older horse that holds weight and condition well. It is high in fibre and low in starch and sugar, making it suitable for horses and ponies prone to laminitis. Made using only the finest quality Non-GM ingredients, Veteran Light also includes prebiotics and probiotics to help maintain a healthy digestive system. Veteran Light is highly palatable, even to fussy feeders!